Writer Dan Hancox's recent book Inner City Pressure: The Story of Grime is to be adapted for a television series. As Deadline reports, Paramount Television have opted to pick up the idea which will be produced alongside Pulse Films. The book looks at the early days of the music genre, through the careers of the scene's leading artists such as Dizzee Rascal, Skepta and Wiley. "I'm thrilled to be working with Paramount Television and Pulse Films on bringing Inner City Pressure to the screen," Hancox said. "The response to the book has been incredible. 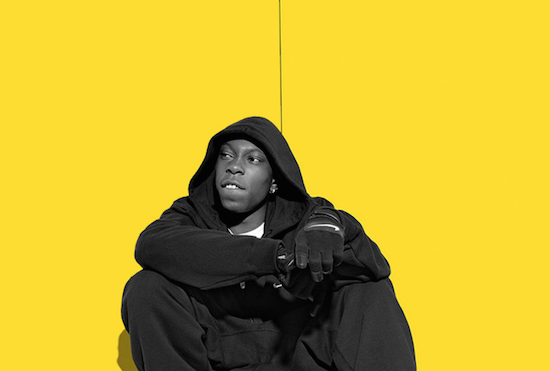 I think people really recognise that you can't tell the story of grime without telling the story of the city and society around it - and likewise, if you want to understand London, its politics, poverty, riots, gentrification, frustrations, tensions and joys, there's no better insight into the first two decades of 21st century London than grime." There's no confirmed date as yet on when the series is due to air.